Zotos Professional exists in a hyper-competitive market in which every consumer has different tastes. 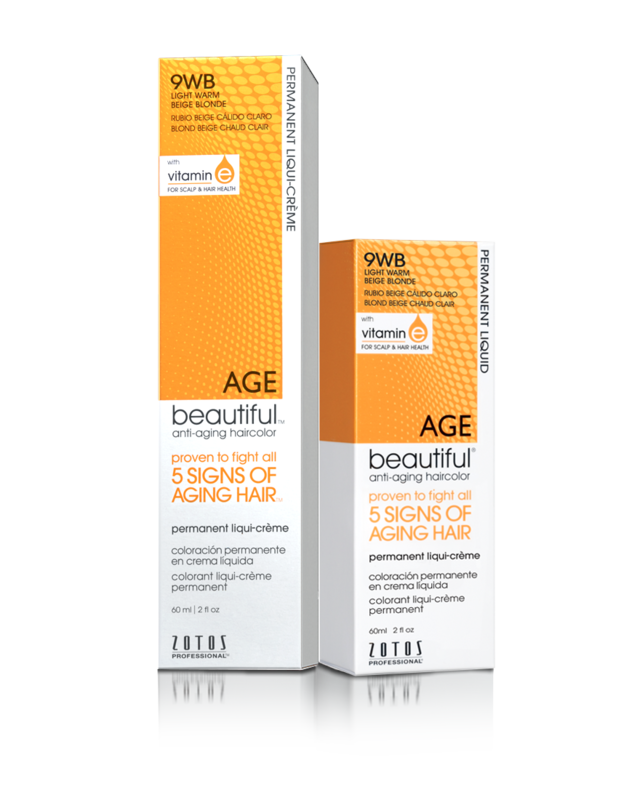 Specifically for its AGEbeautiful anti-aging hair color brand, Zotos Professional was looking to boost awareness of its new “Do You Fake It?” campaign in an effort to drivein-store trial at a key retailer. Shoppers are moving targets, and traditional digital media buys simply aren’t as accountable as they need to be. Brands today are faced with proving ROI from every dollar spent. With this program, AGEbeautiful sought to measurably drive foot traffic into key retail locations, drive product discovery and to encourage trial inside those stores. KPIs included lift in brand awareness and purchase intent and lift in store visitation as measured by 3rd parties. For AGEbeautiful, or any brand that needs that extra boost of discovery inside the store, inMarket’s location-based advertising platform has become a magic bullet to drive awareness, purchase intent and sales. Using inMarket’s full-service platform that tracks and messages over 50 million comScore verified US shoppers, Zotos Professional and Media Horizons deployed a multifaceted online-to-offline ad solution that leveraged inMarket’s unique ability to reach shoppers throughout the entire purchase funnel. The program focused on cross-digital promotion at the awareness stage, and then drove product interaction and sales via mobile during the decision stage while the consumer was inside the store. Through inMarket’s Preceptivity predictive cross-channel solution, Zotos Professional and Media Horizons gained the ability to predict when shoppers were “due” for their next store visit, deploying creative across mobile and desktop at the perfect moments when individual shoppers were most receptive. Out of inMarket’s verified reach of 50 million consumers, over 2.3 million were targeted in this campaign when they were due for a store visit. Preceptivity drives huge ROI because it eliminates wasted impressions that occur after a store visit when a shopper is unreceptive. 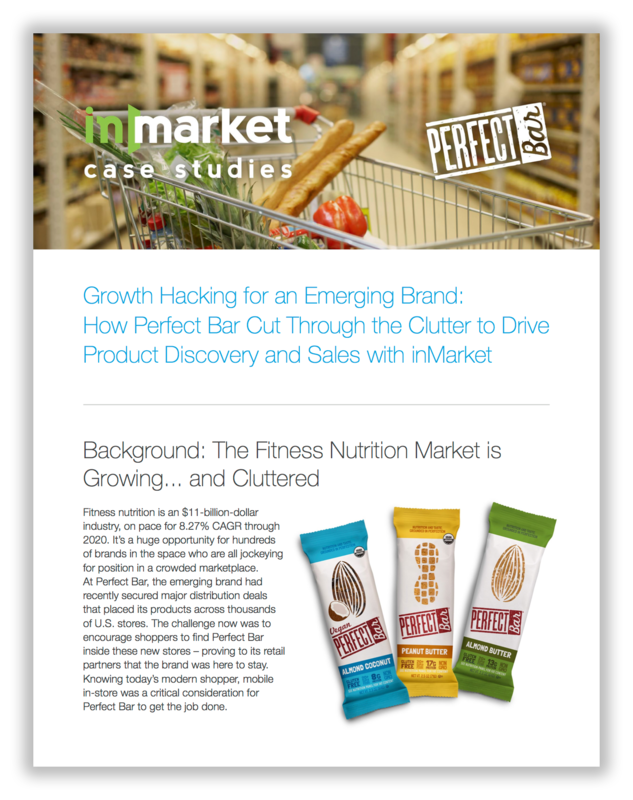 With consumers warmed up through cross-digital awareness, inMarket then put its huge mobile audience and nearly eight years of experience to work via Moments In-Store. These exclusive mobile ads are delivered to consumers at the exact moment they walked through the door of a key retail store. The team at inMarket adapted the AGEbeautiful “Do You Fake It” campaign specifically to fit the most personal device. 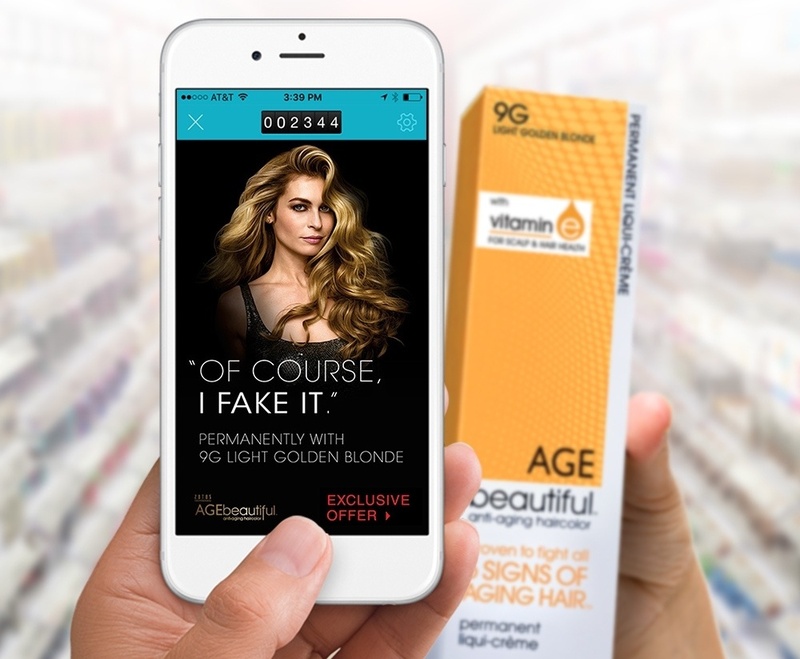 Finally, the campaign delivered Moments In-Hand — high performing, decision-making mobile ad units — to shoppers who were physically holding AGEbeautiful products. 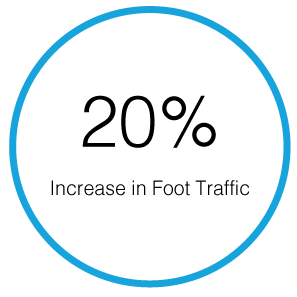 The best inMarket campaigns leverage predictive and in-store programs in concert to target each stage of the customer acquisition funnel, resulting in huge sales lift. For AGEbeautiful, this campaign outperformed all inMarket benchmarks en route to higher same-store sales. Over 40,000 consumers received AGEbeautiful messages precisely when entering a store, driving purchase intent up 4.8x while lifting brand awareness by 1.2x. 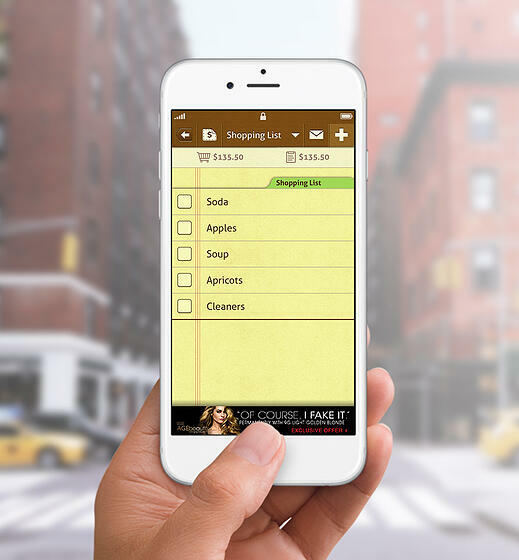 According to measurement firm PlaceIQ, this campaign drove a 20% increase in foot traffic to target retailers. Zotos Professional exists in a hyper-competitive market in which every consumer has different tastes. 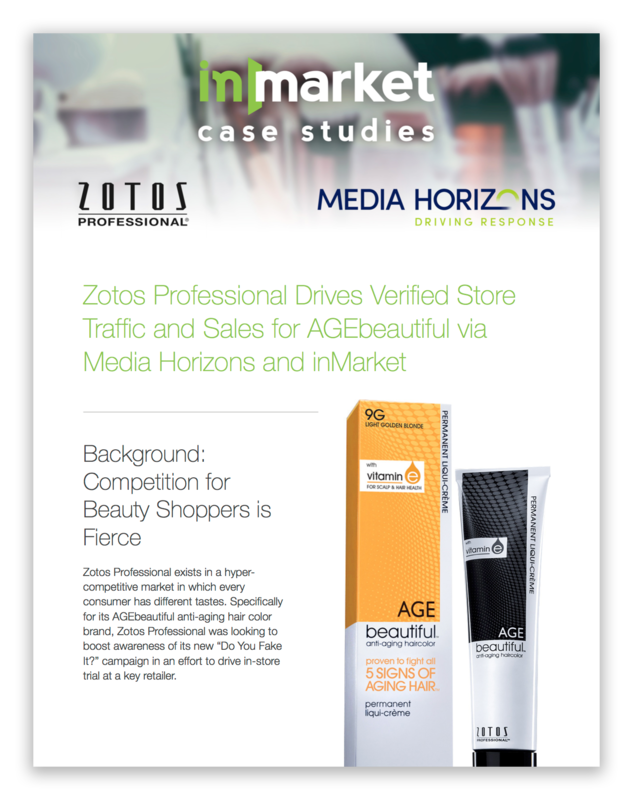 Specifically for its AGEbeautiful anti-aging hair color brand, Zotos Professional was looking to boost awareness of its new “Do You Fake It?” campaign in an effort to drivein-store trial at a key retailer. Download to find out how Zotos Professional drove consumers to their product.